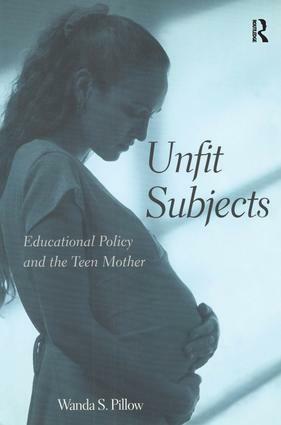 Wanda Pillow presents a critical analysis of federal law and polciy towards pregnant teens, representations of teen pregnancy in popular culture and educational policy assesses how schools provide educational opportunities for school aged mothers. Through in- depth analysis of specific policies and programmes, both past and present, thsi book traces America's successes and failures in educating pregnant teens. Unfit Subjects uses feminist, race and poststructural theories to inform a satisfactory educational policy.